Un autre occupant a marquél’histoire de cetédifice : le White Star Line y eutses bureaux et des billets pour le Titanic y furentvendus. En 2012, tout en restantfidèle à l’historique du bâtiment et en mettant en valeur les détailsarchitecturaux, l’édificeesttransformé en lieu tout indiqué pour y tenir des évènementsprestigieux. Le Théâtre St-James est né. 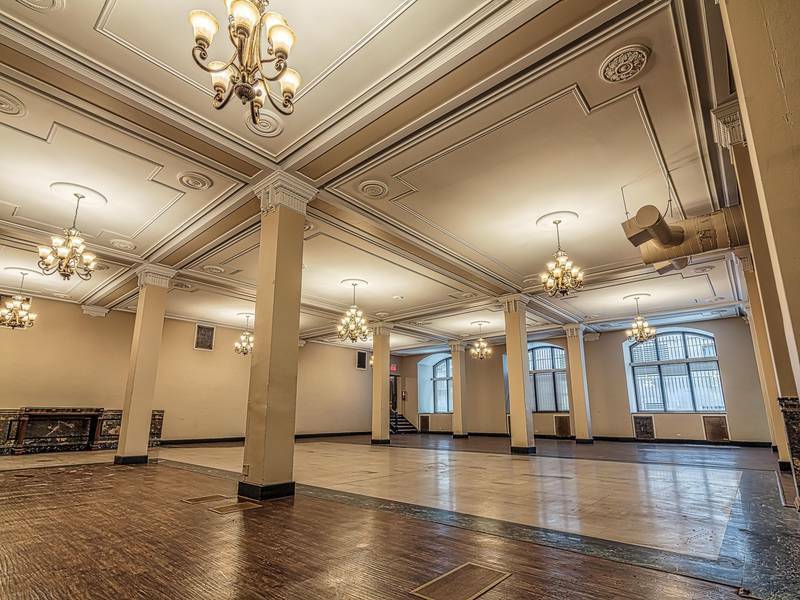 It was between 1907 and 1909 was built for the Canadian Bank of Commerce this magnificent building. 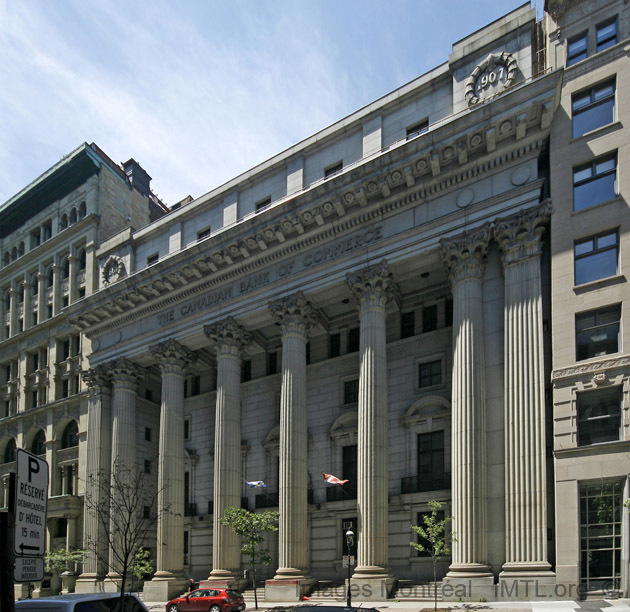 With its facade decorated with six corinthian columns, following the neoclassical style of Pearson and Darling architects, he was classified heritage building in 2012. CIBC became in 1961, the Bank occupied the premises until 2010. Another occupant marked the history of this building: the White Star Line offices and there were tickets for the Titanic were sold there. 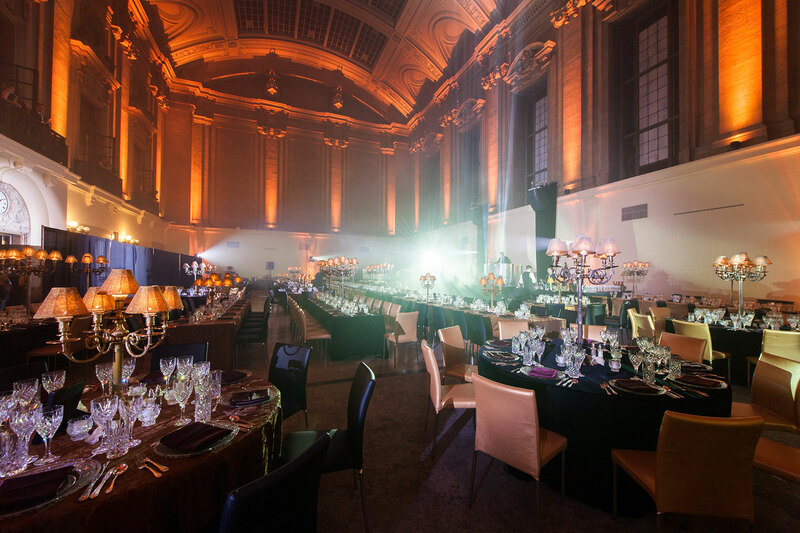 In 2012, while remaining true to the building’s history and highlighting architectural details, the building is transformed into an appropriate setting to hold prestigious events. The St. James Theatre was born.